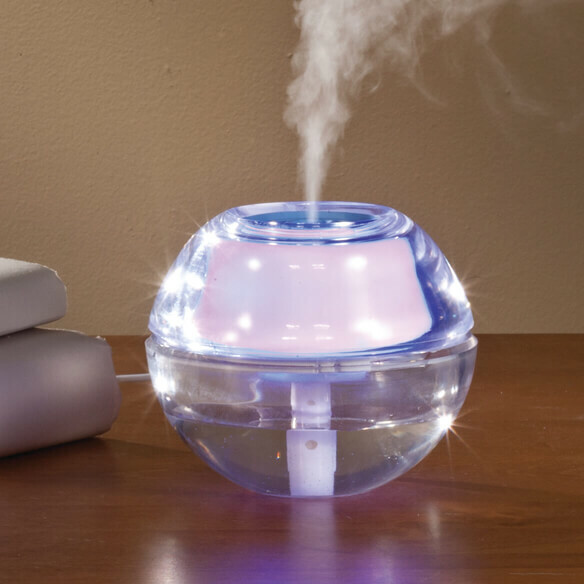 Sleep better with a USB humidifier & diffuser with LED night light that transforms stale, dry air into a more comfortable, relaxing environment. Simply connect to your own computer or wall adapter using the included USB cable and add distilled water. The whisper-quiet air humidifier adds moisture to the air to help alleviate dry skin and sinuses, cracked lips, headaches and more. Add your favorite essential oils for aromatherapy benefits and a spa-like atmosphere. 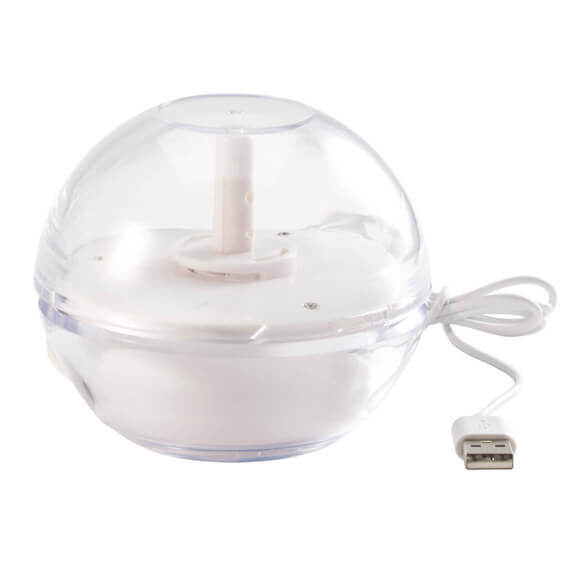 USB humidifier includes replacement diffuser sponge for essential oils. Compact, 2 watt essential oil diffuser covers 100–200 sq. ft. It looks like a good portable size. I have gotten 2 different diffusers from Easy Comforts. They are great and I use them in different rooms. I like this one because I can connect to USB!